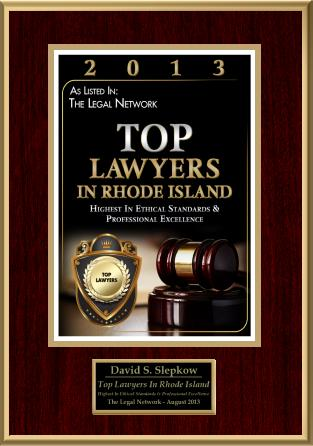 Original, extensive and and informative Rhode Island Law Articles written by David Slepkow. This Blog also contains information, articles, news, statutes ,case law and links regarding Rhode Island and National Law concerning: Personal Injury, Medical Malpractice, Products Liability, Car Accidents, SSI / SSDI, Workers Compensation, Slip and Fall, Premises Liability as well as truck / bicycle and Pedestrian Accidents. This blog goes way beyond the standard cookie cutter information that you typically find on the internet. 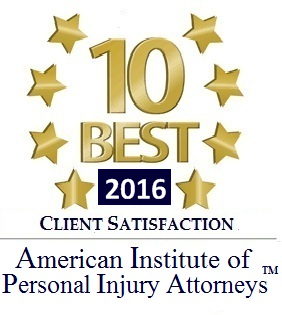 You can contact Rhode Island Personal Injury Lawyer David Slepkow at 401-437-1100 or by emailing him at the email address set forth above. David never charges any fees in a Car Accident, Personal Injury or Slip & Fall case unless successful. David helps clients with auto / car accidents, slip and fall, premises liability, pedestrian accidents, insurance claims, serious injuries, uninsured / underinsured motorist claims and truck / motorcycle accidents. David has 13 years of legal experience. David is a partner and owner of Slepkow Slepkow & Associates Inc. located in East Providence, Rhode Island. 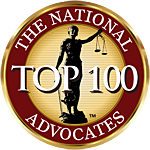 Slepkow Slepkow & Associates has a 78 year history of helping our clients with complicated legal matters. Home and hospital Appointments available. Evening and Weekend Appointments available.